I’m just howling mad today. In a previous post I discussed how the city of Montreal was introducing BSL (Breed Specific Legislation). It had been suspended by the Superior Court back on Oct. 3. at which time we had hoped sanity & reason would prevail. Such is not the case. 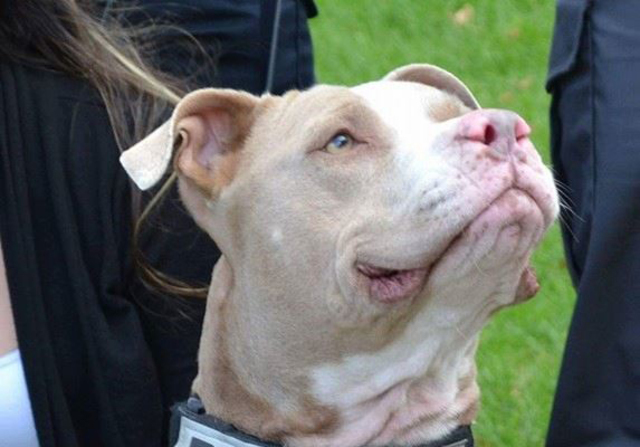 The lifting of the suspension order on December 1st means many of the bylaw’s provisions targeting pit bull-type dogs will come into force, including the muzzling of certain dogs. This backwards & stupid law assumes only scary looking dogs bite but fluffy cute ones don’t. What nonsense. A dogs appearance is in no way related to it’s temperament. A dog is a dog. Irresponsible owners who allowed their dogs to become a menace caused this. The city council seems to want a quick fix so they can slap themselves on the back for a job well done. For now, the City of Montreal cannot issue euthanasia orders based on breed or physical appearance, prohibit someone from reclaiming their lost dog based on breed or physical appearance & must allow all dogs to continue to be adopted to families residing outside of Montreal. In their decision, the three judges of the Court of Appeal said they would limit the extent of the bylaw until a Superior Court hearing next year. I hope in that time someone will put an end to this controversial legislation which is unfair, unenforceable, & most importantly, ineffective. Talk about a bunch of Cannuckle-heads! Ugh. I hope ongoing pressure forces them to reconsider this stupid BSL. Till then, I’m voting for a tourist ban. Perhaps economics will make a difference. Sometimes economics is all that can be heard. We need to do whatever we can to end this bad ineffective legislation.